We walk by Orsal’s house, flying casual. A mercenary is standing outside the house like he’s waiting for someone, and two nobles are there talking. “Is The Man here?” Yes. “The man has a nice house.” OK.
We fail insight and history rolls. Not being thiefy, we decide to pass, and head to the Sheriff’s place. We brief him extensively on our theories, and he acts as if he’d not be surprised to find that Orsal was dirty. He’s been profiteering quite well off of the war between Dracolindes and Carvolik. The Sheriff has the highest respect for Carmina and the servant of the Battle Maiden. We have his total support. He gives us five men and his Steward – if we say he’s evil, he’s evil. We send Colin ahead to get an advance look at the place. Five guards, the steward, and Carmina and Marcus follow very shortly thereafter. Colin McSneakypants rolls 27 on his Stealth check, rockin’ it. There are three doors and five windows. While Colin’s watching he sees a mercenary type and a woman, laughing and talking and carrying bundles. We get 10 fighters from the Sheriff, and surround the place. We knock on the door and demand entrance. Inside are at least one noble, Orsal, and many others. We note that we have the rights to search the place. We ask Orsal to call his people into the great hall, which he does. There are 8 servants, plus a thuggish looking guy that looks to be in charge of the laborers, plus Captain Parvis, three men-at-arms, the noble, and Orsal himself. Colin the Bard engages them in disarming conversation, and tries to trap them verbally or observe something to tie them to Pan Calderax. This org doesn’t use secret signs; they rely on magic. They also appear to be using the guilds to move people, information, and trouble along. He tries to use his deception skills to make Orsal think he’s maybe on the same side, in deep cover, or something. We do a quick check of the trap door . . . and find some darn nice construction down there. Weapon racks and a training area. We have a major issue here. Carmina is still upstairs minding the store. We are having so many distractions – kids, phone calls, all kinds of stuff – that we might as well not be playing at all some of the time. No one has been immune, but it’s making a chaotic situation worse. We try an organize the guys, and we see a noble whispering to Orsal as a serving woman squeezes by someone else . . . and before things go horrible, Carmina casts sleep. It’s like a truly-harmless Taser. A few sleep, and the rest roll initiative, and we have a bunch of low rolls for us, and not-as-low-as-us for the bad guys. The noble says “The singer should learn to leave well-enough alone,” and stabs one of the dwarven guards . . . and it bounces off his armor. His second attack (!) hits and does 10 HP, and he goes down. Orsal looks at Carmina, and freakin’ breathes fire on him for 5 HP. The dwarves are not amused. They attack. The steward backs out of the combat. Another fire attack, but the sergeant’s armor protects him completely; he emerges unscathed. More of our team attacks, hitting the mercenary captain for 4 HP. On the soldiers’ turn, they hit but do not take out a few dwarves. The mercenary captain, however, fells two of our allies, using an Action Surge plus his natural level to strike four times. Colin gets to use his rogue abilities, and hits the noble for 17 HP. He soaks it. The thug comes after Colin, but misses a lot, only doing 3 HP. 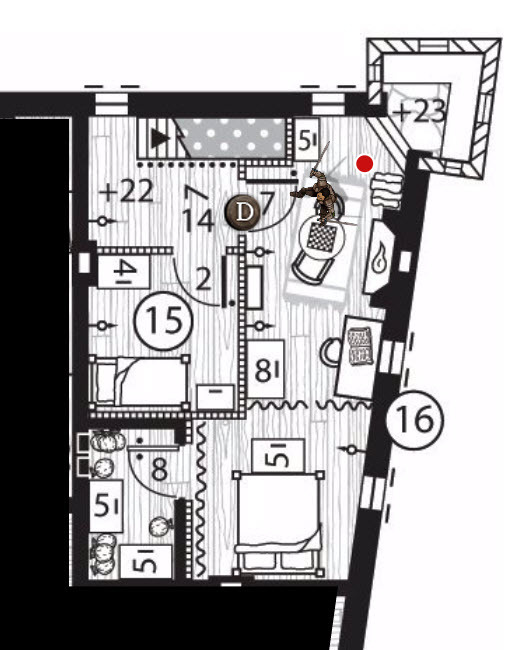 Carmina moves into the room, and hits the green noble with Sacred Flame; a DEX save with DC 15. So he takes 2d8 for 12 HP radiant damage . . . and naturally the guy breathes in, out, and hits him back with a Hellish Rebuke. Carmina makes his saving throw thanks to the d6 from Inspiration, and only takes 1 HP. A guy in red breaks for the door, but is met by Marcus, who has dodged out of the building to try and take the fighters by surprise. Two hits with a magical sword later, and he drops. Orsal pulls out some gum arabic, and disappears. 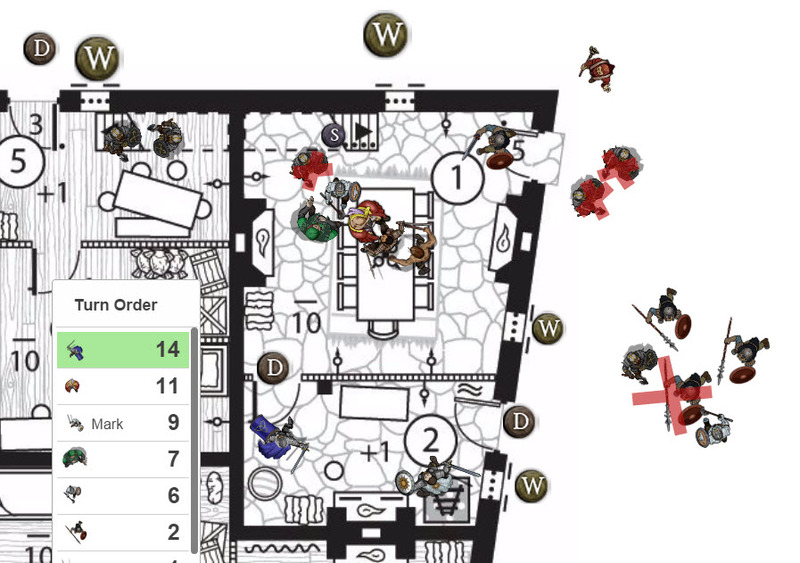 All the mercenaries have fallen or fled, but more dwarves go down. Colin the bard casts Thunderwave . . .
Marcus comes in behind the captain and expends a spell slot, hitting for 31 HP total. Impressively dead. We hear someone running up some stairs on a higher floor. Colin disengages from the thuggish leader, and climbs up the outside wall to the third floor balcony. He’s 2/3 of the way up . . . The thug is just that stupid, and he attacks the paladin; his blade clangs off Marcus’ shiny new magical plate. Marcus drops him with two hard blows. By the way, Roll20 requires the weapon table to be completely filled out, otherwise there’s an error, including “Critical Damage.” Safety tip. Colin climbs up the wall, hides on a balcony, and will hit the door with a thunderwave as it opens. If the round ends, he’s quaffing a potion. As Marcus and Carmina rush up the stairs (Marcus activating Sacred Weapon, to hit CHA bonuses to hit). The door opens, and Colin hits him with Thunderwave as a second-level spell . . . 5 HP and hopefully breaking concentration. He naturally grows dragon wings, and slams into Colin (rolls 17 on the athletics check), and Colin rolls 18, stopping him – they get tangled up. He flies backwards, provoking an attack of opportunity from Colin, which hits for 11 HP. He loses his concentration . . . and his wings. All of that was a held action for Colin, so it’s his turn again (!). He goes with the stabbity stabbity, hitting for 7 HP. Carmina hits him with Hold Person, which doesn’t hold, and I knock him prone. He gets back up. He says “your friends will die,” and despite Marcus’ spending a reaction to give that attack disadvantage, he gets hit for 11 HP, taking him out. No worries – Paladin here. Carmina hits him for 8 HP, he goes down. Colin gets healed up by Marcus using Lay on Hands. The dwarves are tending their wounded; Colin medicines the guy to not die. The dwarves will eventually be OK.
We tie Orsal up, and do a quick search of the house. Nothing doing. We head immediately downstairs. Theres’s a little girl to rescue. We head out, taking the first pathway out of the training area. 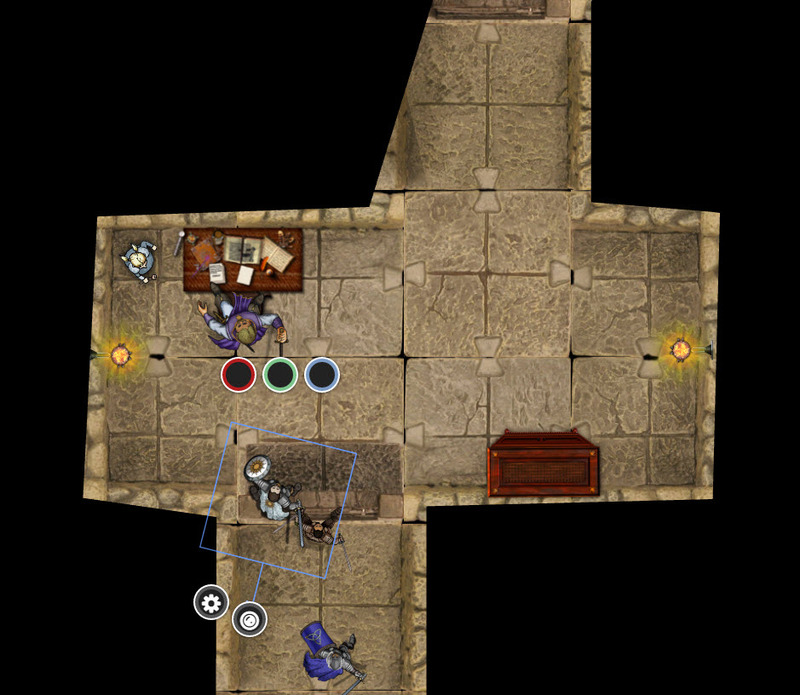 We go down the hall, quietly pick a lock, and surprise a guy covered in draconic symbols, with a bruised girl cowering in the corner. The three dads playing decide to roll initiative to see who gets to kill this motherf**ker first. One does not kidnap little girls in this group. 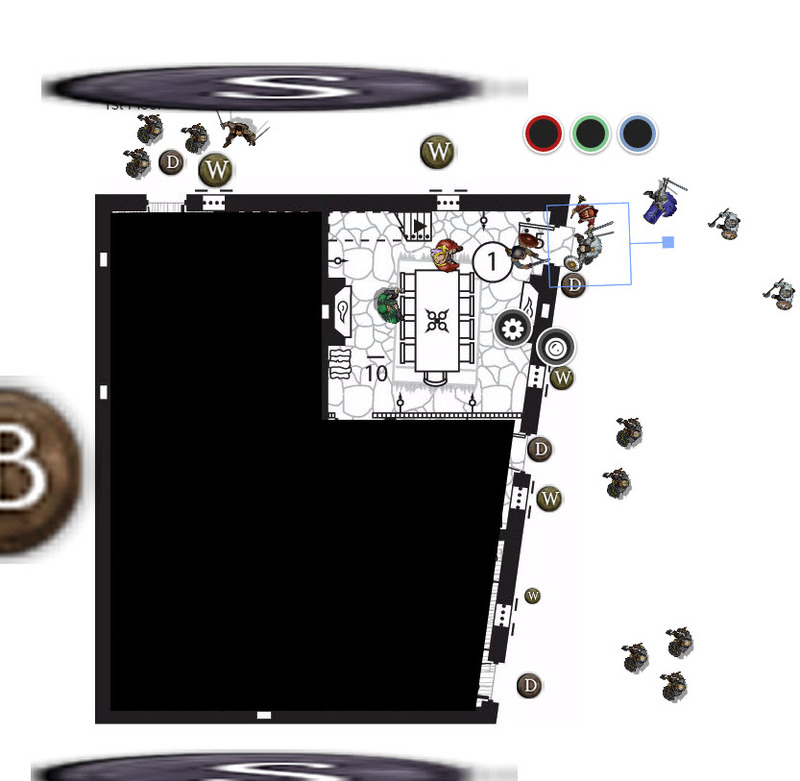 Marcus wins, hitting him twice in the back and expending a 2nd level spell slot for 3d8 more damage. He goes down. We strip him naked, tie him up, gag him, and then stabilize him. We find a Book of Shadows and Book of Ancient Secrets on Orsal. We find huge notes on Pan Caulderax in the cell. We continue, since we hear chanting and stuff in the next room. Colin and Marcus rush onwards, unwilling to let evil stand, while Carmina takes the little girl out to safety. We shoot arrows and go all stabbity at the lead cultist, wounding him badly. The lead cultist casts Hold Person on Colin, and he is held. Two cultists attack and hit, doing 6 HP total. Marcus runs up and drops the two cultists attacking Colin, dropping both (with the help of a spell slot; I’m down to 3 1st level slots left, and I basically save them for damage dealing). Colin frees himself from the spell. The leader flees. and Marcus drops him with a lucky (and low-damage) 2 HP arrow shot. More cultists appear from the south. One tries to hit me with Sacred Flame, and my save means I take no damage. I hit the spellcaster with an arrow for 7 HP. 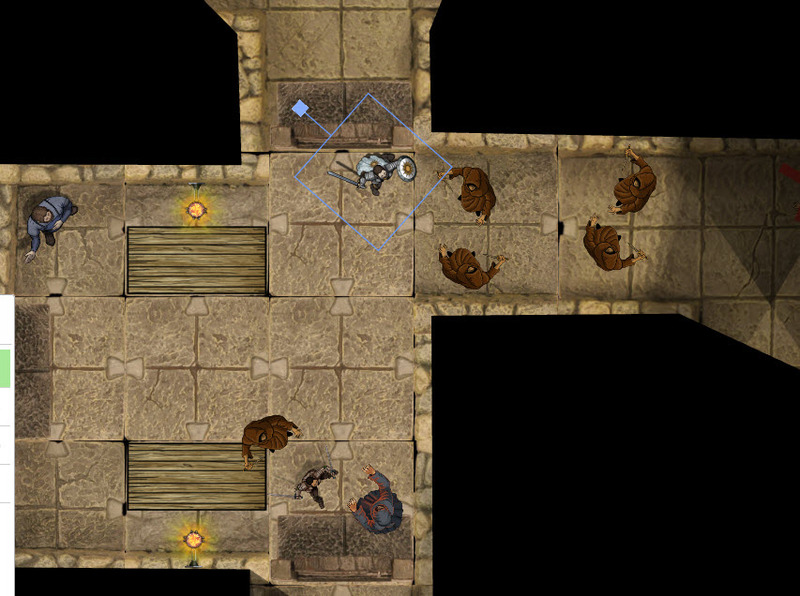 Colin runs up, using bonus action to close the distance with the spellcaster, and hits for 7 HP. Spellcultist attacks back, missing with a glowing fiery hand. Bad touch! We hear “help, we’re being invaded!” Marcus acknowledges this with two arrows, killing him. There are still more guys in the room, though. Colin tries to make it one less, hitting twice for 6 HP on our caster friend. A cultist with a scimitar attacks and misses; the spellcaster tries to touch Colin (success) and does 22 HP of damage (4d10!). The bard goes down. Marcus gets hit for 11 HP as well, despite AC 22. Marcus runs up and hits the spellcaster, hitting for 20 HP expending a spell slot. Colin fails a death check. The bad guys make morale checks . . . and one goes running. Four are left. Two hit me (glad I’m wearing plate), and . . .
Colin rolls a 1 on his death check . . . and dies. Our first true character death. I hear terrible roaring from ahead. I pick up Colin’s body over my shoulder, and exercise the better part of valor. An 8-foot tall stitched-together thing is chasing me.
. . . and we end there. We’ll see how many reinforcements arrive next timeIt’s going to cost 12,500sp to raise Colin. Overall, Marcus acted like an actual first-line combatant this game. What he hit tended to go down, and judicious use of extra 3d8 and 2d8 spell slots made for an effective boost to ensure foes stay down. Switching from a longbow to a sword at will makes for a nice ranged/melee pairing. The AC 22 didn’t help me as much as it should have, since the GM kept rolling really high numbers this time. Not sure how nasty a flesh golem is. I’ve got maybe 2 spell slots left at 1st level for extra damage. But we also should have a crap-ton of help coming, all with crossbows. We should be able to pincushion this guy pretty hard.